The contrast of the fabric was hard to catch with the camera. It is subtle. The batiks look much better in person. 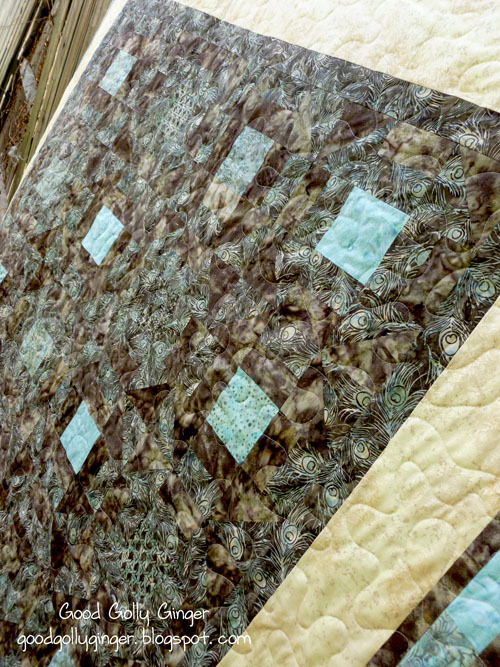 The khaki frost fabric has a metallic sheen to it that blends lovely with the batiks. Again, it's hard to catch that with the camera. 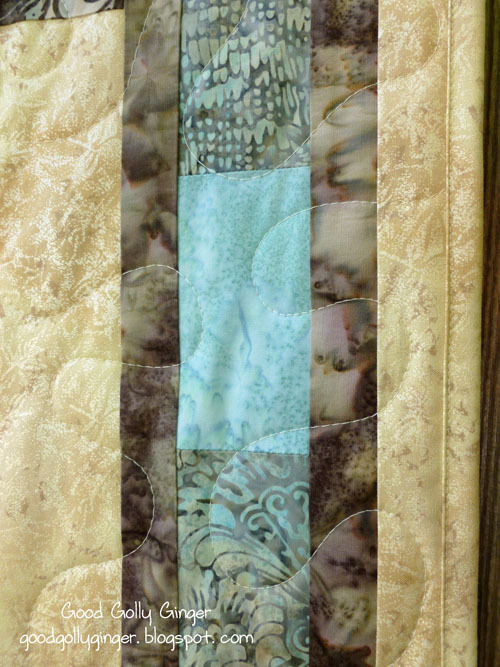 Just a few quilts ago, I was terrified at doing binding. Look at me now! 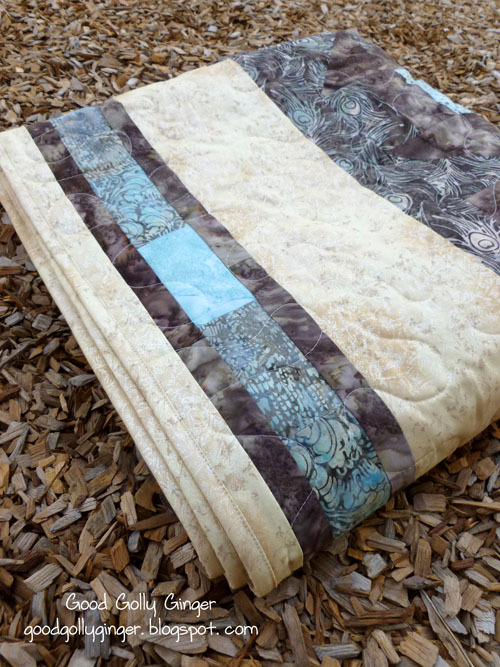 A simple free motion meander quilting design was all that this quilt needed. 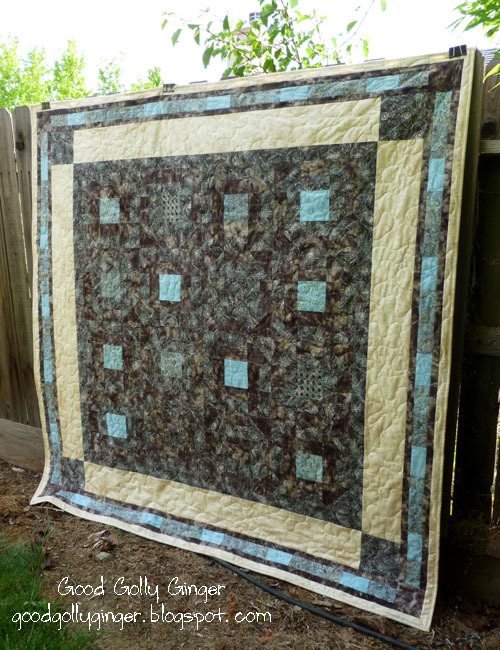 Beautiful quilt Katie! Thank you so much for linking up to SEWjo Saturday! 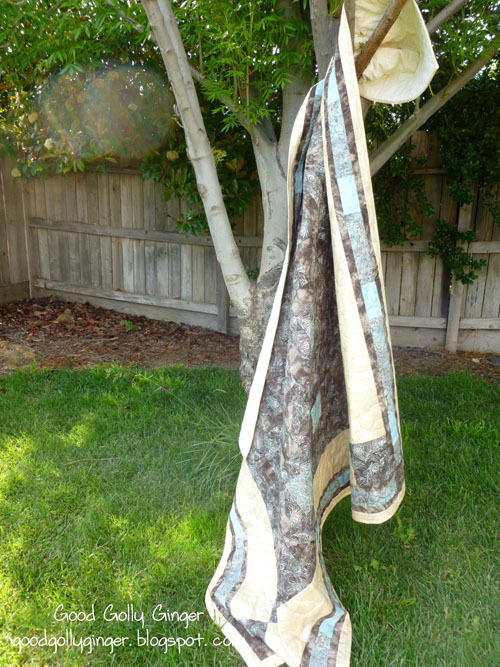 Somehow I missed this quilt. Love it!